Dr. Kathy Wood’s experience in higher education spans more than twenty years during which she served as Program Chair for the MA Health Care Administration program at Ashford University and University Dean, Health at Colorado Technical University. In addition, Dr. Wood has taught extensively in the fields of health care administration, business, and health care finance. Dr. Wood’s introduction to higher education came through a project she led with the Healthcare Financial Management Association (HFMA), where she is a Fellow. She also serves as a Fellow for the Council on Accreditation for Healthcare Management Education (CAHME). Her industry experience includes positions in IT health care organizations, hospitals, physician practices, and long-term care facilities where she held many leadership roles in business services and health care administration. Dr. Wood is the recipient of many industry certifications and awards including the Bronze, Silver, and Gold Award of Excellence for certification from the HFMA. 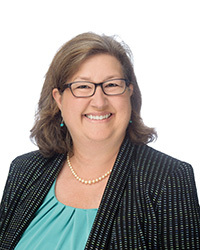 In additional to HFMA, she is affiliated with the American Public Health Association (APHA), the Healthcare Information Management System Society (HIMSS) and the American Health Information Management Association (AHIMA). She believes strongly in the importance of volunteerism, where she serves as a Long-term Care Advocate, and in other areas for marginalized populations.